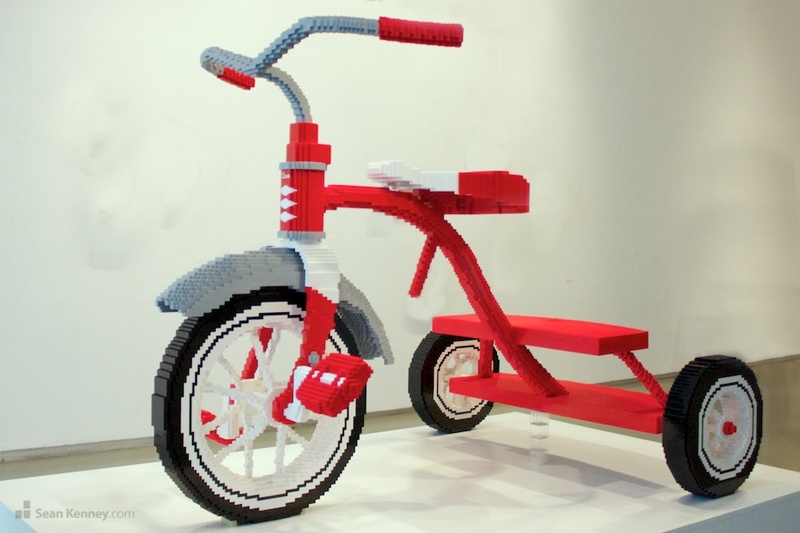 Part of a series of larger-than-life children's toys, this giant trike is over 7 feet long and contains 35,989 pieces. Under construction in my New York City art studio. This sculpture is part of my art show, Piece by Piece, which premiered in New York City in March 2013.